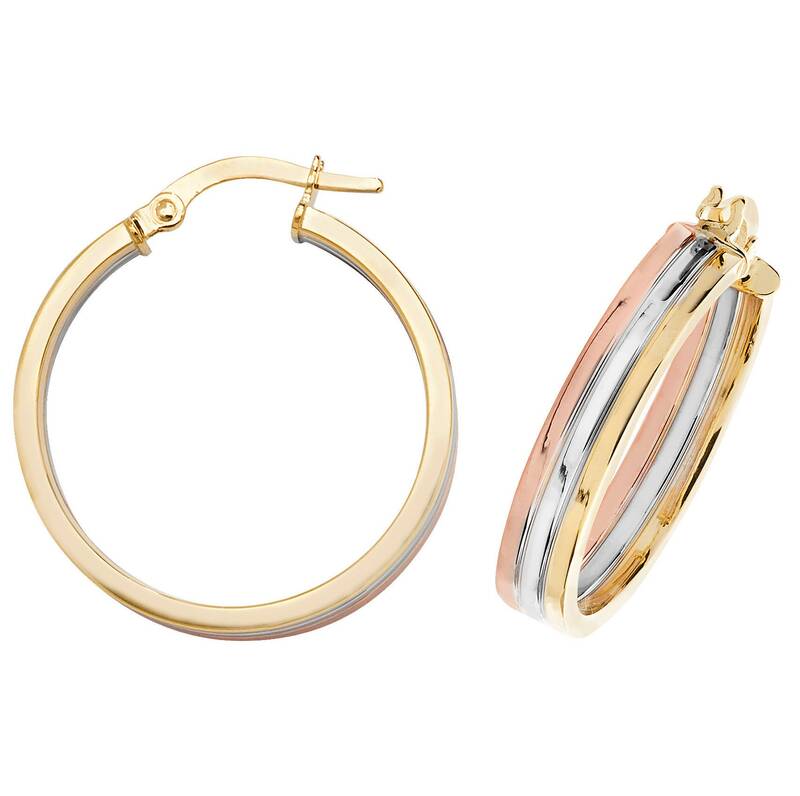 Stylish and modern these flat hoop earrings are crafted with three rings of rose, yellow and white gold. 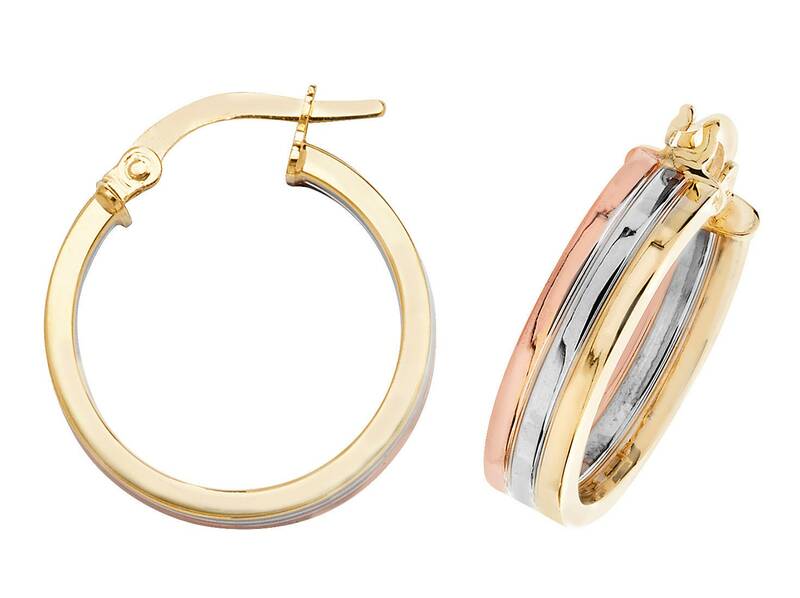 Crafted in hallmarked 9 carat gold. Choose from 15mm or 20mm diameter, width 5mm with latch back fastening.